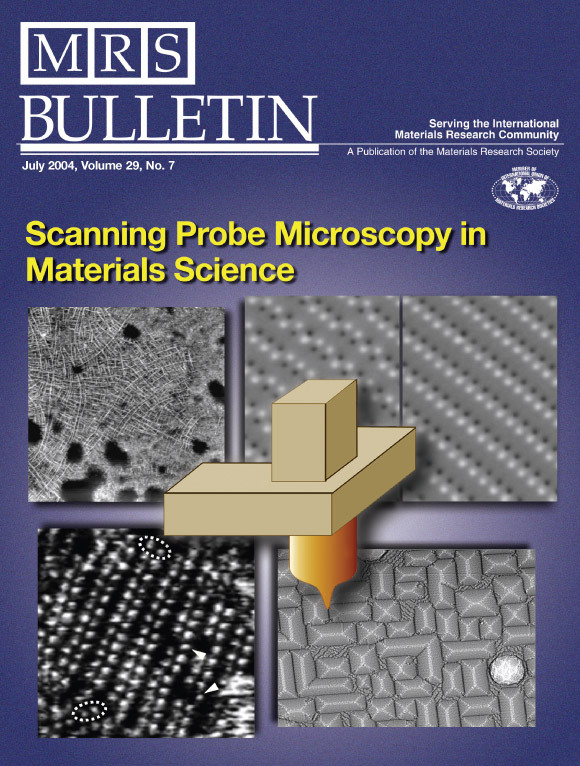 "The limit of time resolution in frequency modulation atomic force microscopy by a pump-probe approach"
"Quantum state readout of individual quantum dots by electrostatic force detection"
"Measurement of Surface Photovoltage by Atomic Force Microscopy under Pulsed Illumination"
"Kelvin probe force microscopy by dissipative electrostatic force modulation"
Phys. Rev. Appl. 4, 054011 (2015). "Improved atomic force microscopy cantilever performance by partial reflective coating"
Beilstein J. Nanotech. 6, 1450 (2015). "Revealing energy level structure of individual quantum dots by tunneling rate measured by single-electron sensitive electrostatic force spectroscopy"
"Characterization of a gold coated cantilever surface for biosensing applications"
"Field Ion Microscopy for the Characterization of Scanning Probes"
"Scanning gate imaging of two coupled quantum dots in single-walled carbon nanotubes"
"FIM tips in SPM: Apex orientation and temperature considerations on atom transfer and diffusion"
"One-to-one spatially matched experiment and atomistic simulations of nanometre-scale indentation"
"Transient adhesion and conductance phenomena in initial nanoscale mechanical contacts between dissimilar metals"
"Large Dynamic Range Digital Nanodot Gradients of Biomolecules Made by Low-Cost Nanocontact Printing for Cell Haptotaxis"
"Minimum Threshold for Incipient Plasticity in the Atomic-Scale Nanoindentation of Au(111)"
"Effect of using stencil masks made by focused ion beam milling on permalloy (Ni81Fe19) nanostructures"
"Tip-induced artifacts in magnetic force microscopy images"
"Monotonic damping in nanoscopic hydration experiments"
"Simple Si (111) surface preparation by thin wafer cleavage"
"Conductivity of an atomically defined metallic interface"
"Deconvolution of Calcium Fluorescent Indicator Signal from AFM Cantilever Reflection"
A. Labuda, M. Lysy, P. Grütter. "Stochastic simulation of tip-sample interactions in atomic force microscopy"
"Atomic Force Microscopy Reveals Important Differences in Axonal Resistance to Injury"
A. Labuda, M. Lysy, W. Paul, Y. Miyahara, P. Grütter, R. Bennewitz, M. Sutton. "Stochastic noise in atomic force microscopy"
"Implementation of atomically defined field ion microscopy tips in scanning probe microscopy"
"Dynamics of presynaptic protein recruitment induced by local presentation of artificial adhesive contacts"
"Retrofitting an AFM with photothermal excitation for a clean cantilever response in low Q environments"
"Atomic Force Microscopy in Viscous Ionic Liquids"
"Excited-State Spectroscopy on an Individual Quantum Dot Using Atomic Force Microscopy"
"The noise of coated cantilevers"
"Refined tip preparation by electrochemical etching and ultrahigh vacuum treatment to obtain atomically sharp tips for scanning tunneling microscope and atomic force microscope"
"Electrical characterization of low dimensional systems (quantum/nano-structures)"
"Note: Electrochemical etching of sharp iridium tips"
"Probing the “Dark” Fraction of Core–Shell Quantum Dots by Ensemble and Single Particle pH-Dependent Spectroscopy"
"Interleukin-13 inhibits proliferation and enhances contractility of human airway smooth muscle cells without change in contractile phenotype"
"Energy levels of few-electron quantum dots Imaged and characterized by atomic force microscopy"
"Strong Electromechanical Coupling of an Atomic Force Microscope Cantilever to a Quantum Dot"
"Low temperature electrostatic force microscopy of a deep two-dimensional electron gas using a quartz tuning fork Microscopy"
"Silicon nanostencils with integrated support structures"
"Cantilever-Based Sensing: Origin of the Surface Stress and Optimization Strategies"
"Noise in combined optical microscopy and dynamic force spectroscopy: Toward in vivo hydration measurements"
"Spatially resolved low-frequency noise measured by atomic force microscopy"
"Relating the functional properties of an organic semiconductor to molecular structure by nc-AFM"
"Molecular dewetting of organic thin films on insulating substrates (invited review)"
"Thin film evolution: dewetting dynamics of a bimodal molecular system"
"Determination of local contact potential differences of PTCDA on NaCl: a comparison of techniques"
"High resolution investigation of metal nanoparticle growth on an insulating surface"
The role of van der Waals forces in the adsorption and diffusion of organic molecules on an insulating surface"
"High-Q optical fiber tips for nc-AFM in liquids"
"Rapid assembly of functional presynaptic boutons trigered by adhesive contacts"
"Cover of October 29 (2009) issue of J. Neuroscience"
"A common mechanism underlies the dark fraction formation and fluorescence blinking of quantum dots"
"Effect of mechanical properties of hydrogel nanoparticles on macrophage cell uptake"
"The Role of Charge-induced Defects in the Growth of Gold on an Alkali Halide Surface"
"Strain Induced Dewetting of a Molecular System: Bimodal rowth of PTCDA on NaCl"
"Comment on temperature dependence of the energy dissipation in dynamic force microscopy"
"Nanopits as Templates for Building a Molecular Device"
"High-aspect ratio metal-tips attached to atomic force microscopy cantilevers with controlled angle, length and radius for electrostatic force microscopy"
"Templated Growth of PTCDA Molecules on a Nanostructured Insulator"
"C60 on Alkali Halides: Epitaxi and Morphology Studied by Noncontact AFM "
"A Complete Analysis of the Laser Beam Deflection Systems Used in Cantilever-based Systems"
"Microcantilever-Based Sensors: Effect of Morphology, Adhesion, and Cleanliness of the Sensing Surface on Surface Stress"
"Dendritic Spine Viscoelasticity and Soft-Glassy Nature: Balancing Dynamic Remodeling with Structural Stability"
"DNA-Protein Non-Covlent Crosslinking: Ruthenium Dipyridophenazine Biotin Complex for the Assembly of Proteins and Gold Nanoparticles on DNA Templates"
"Detection and Correction of Blinking Bias in Image Correlation Transport Measurements of Quantum Dot Tagged Macromolecules"
"The Mitochondrial Transcription Factor TFAM Coordinates the Assembly of Multiple DNA Molecules into Nucleoid-like Structures"
"Plasticity, Healing, and Shakedown in Sharp Asperity Nanoindentation"
"Use of an Electron-Beam Evaporator for the Creation of Nanostructured Pits in an Insulating Surface"
"Calibrating Laser Beam Deflection Systems for Use in Atomic Force Microscopes and Cantilever Sensors"
"Characterization of Blinking Dynamics in Quantum Dot Ensembles Using Image Correlation Spectroscopy"
"Determination of the Atomic Structure of Scanning Probe Microscopy Tungsten Tips by Field Ion Microscopy"
"Detection of single electron charging in an individual InAs quantum dot by noncontact atomic force microscopy"
"IoP Physics Web article on previous paper"
"Controlled deposition of gold nanodots using non-contact atomic force microcopy"
"Nucleation and Submonolayer Growth of C60 on KBr"
"From Tunneling to Point Contact: Correlation Between Forces and Current"
"Broadband Spin Dynamics of the Magnetic Vortex State: Effect of the Pulsed Field Direction"
"Spatially Resolved Observation of domain-Wall Propagation in a Submicron Ferromagnetic NOT-Gate"
"A Differential Microcantilever-Based System for Measuring Surface Stress Changes Induced by Electrochemical Reactions"
"Probing the viscoelastic behaviour of cultured airway smooth muscle cells with atomic force microscopy: stiffening induced by contractile agonist." "Redox-Induced Surface Stress of Polypyrrole-Based Actuators"
"Molecular resolution imaging of C60 on Au(111) by non-contact atomic force microscopy"
"Momentum filtering effect in molecular wires"
"Imaging, Manipulation, and Spectroscopic Measurements of Nanomagnets by Magnetic Force Microscopy"
"Magnetization Switching in 70-nm-wide Pseudo-spin-valve Nanoelements"
"Construction of Hysterisis Loops of Single Domain Elements and Coupled Permalloy Ring Elements by Magnetic Force Microscopy"
"Control of the Domain Pattern in Square Shaped Nickel Rings"
"Magnetic Force Microscopy and X-ray Scattering Study of 70 x 550 nm2 Pseudo-spin-valve Nanomagnets"
"Magnetic Force Microscopy Studies of Patterned Magnetic Structures"
"Direct Observation of Magnetostatic Coupling of Magnetic Disk Chains"
"Combined in-situ micromechanical cantilever-based sensing and ellipsometry"
"I-V characteristics and differental conductance fluctuations of Au nanowires"
"Data analysis of nonlinear systems: Application to Au nanowires"
"Properties of amorphous Al-Yb alloy coating for scanning near-field optical microscopy tips"
"Self-assembled masks for the transfer of nano-scale patterns into surfaces: characterization by AFM and LFM"
"Determination of Tc, vortex creation and vortex imaging of a superconducting Nb film using low-temperature magnetic force microscopy"
"Systematic study of magnetic tip induced magnetic reversal of e-beam patterened permalloy particles"
"Magnetic imaging and dissipation force microscopy of vortices on superconducting Nb films"
"Magnetization reversal and configurational anisotropy of dense permalloy dot arrays"
"MFM study of electron-beam patterened soft permalloy particles: Technique and magnetization behavior"
"Surface Relaxations, Current Enhancement, and Absolute Distances in High Resolution Scanning Tunneling Microsopy"
"Physical Review focus story on previous PRL"
"Flux Lattice Imaging of a Patterned Niobium Thin Film"
"Estimating the magnetic penetration depth using constant-height magnetic force using constant-height magnetic force image of vortices"
"Quantitative Surface Stress Measurements Using a Micro-Cantilever"
"Metallic Adhesion and Conduction between Atomically Defined Tip and Sample"
"Metallic Adhesion and Conductivity of Nanoscale Systems"
"Piezoresistive Torque magnetometry below 1K"
"Adhesion Interaction between Atomically Defined Tip and Sample"
"Theory of Magnetioelastic Dissipation Due to Domain Wall Oscillation"
"Magnetic Dissipation Force Microscopy Studies of Magnetic Materials"
"Theory of Magnetic Dissipation Imaging "